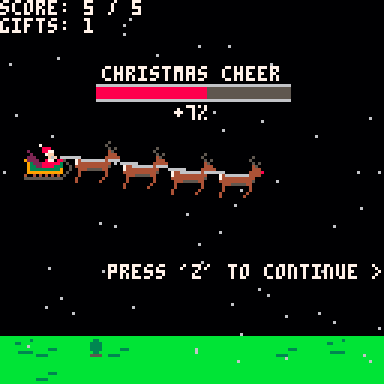 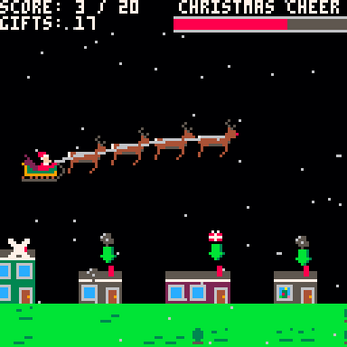 Two-button arcade game where you're delivering presents (and coal) at midnight before Christmas morning. 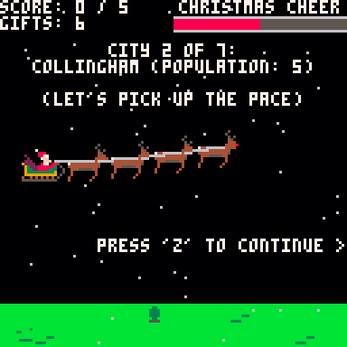 Spread some Christmas cheer across 7 unique cities! 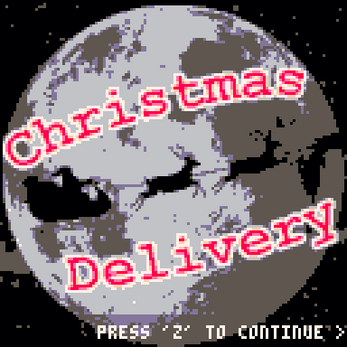 You can play in your browser above, but if you want to run the game natively, just download the appropriate zip file, unzip, and run the executable.